Share your love of Thanksgiving Coffee with friends and family. 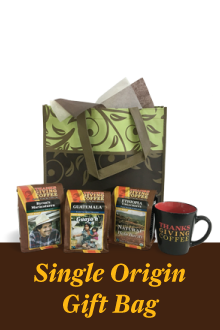 We make gift giving easy with these coffee gift bags. Choose from a variety of options that are sure to please any coffee drinker, and include a free gift message! 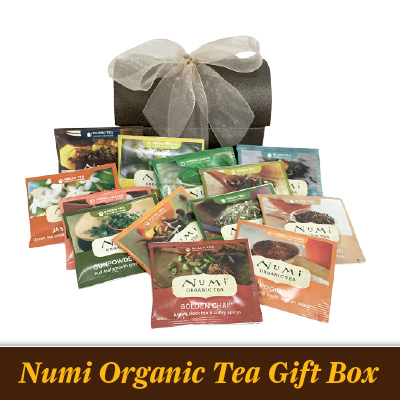 We can ship your gifts directly to family, friends and business contacts. Just add products to your cart and choose "Ship To: someone else." You can ship to multiple people within the same order. To order a gift certificate, give us a call at (800) 648-6491. 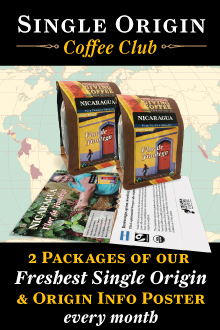 Receive monthly shipments of two bags of our freshest Single Origin Coffee. 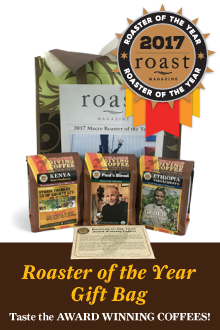 Three coffees chosen for the Roaster of the Year award. Includes 3 bags of our favorite single origin coffees: Byron's Maracaturra, 100% Peru & 100% Ethiopia Natural. 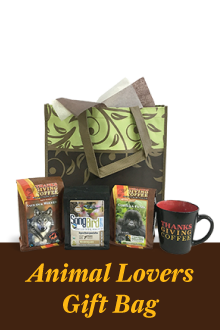 Includes three of our favorite Cause Coffees: Songbird Nicaragua, Save Our Wolves-dark & Gorilla Fund Coffee. 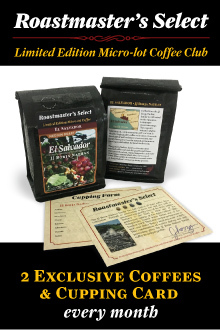 Receive monthly shipments of two bags of coffee specially selected by our roastmasters, Jacob Long and Paul Katzeff.